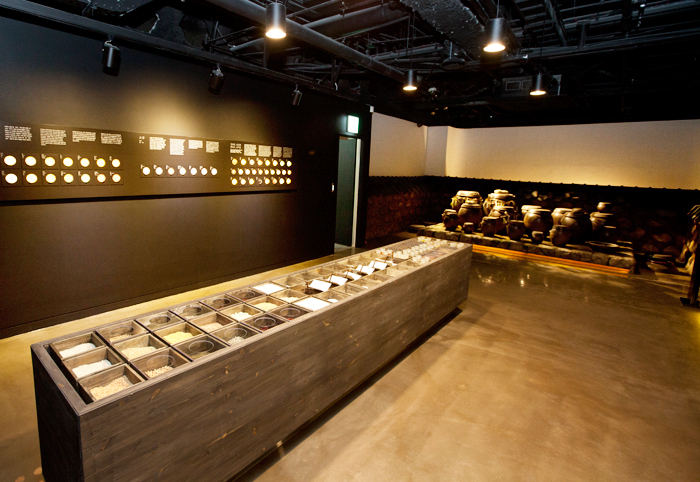 The exhibition hall on the 3rd floor is equipped with a display wall that shows the development of seasonal customs and foods influenced by Korea’s climate with four distinct seasons. It is presented with onggi (earthenware) plates. 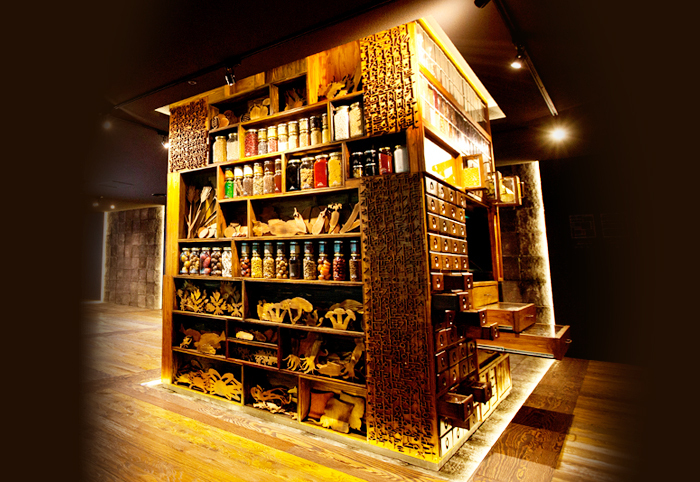 In addition, a Korean food material table and a traditional platform of hanok (traditional Korean house) for crocks containing sauces and condiments are presented so that visitors may experience Korean food through all five senses. The display wall of seasonal divisions & customs is a space to show seasonal customs and foods according to Korea's four distinctive seasons, further expounded into 24 seasonal divisions. 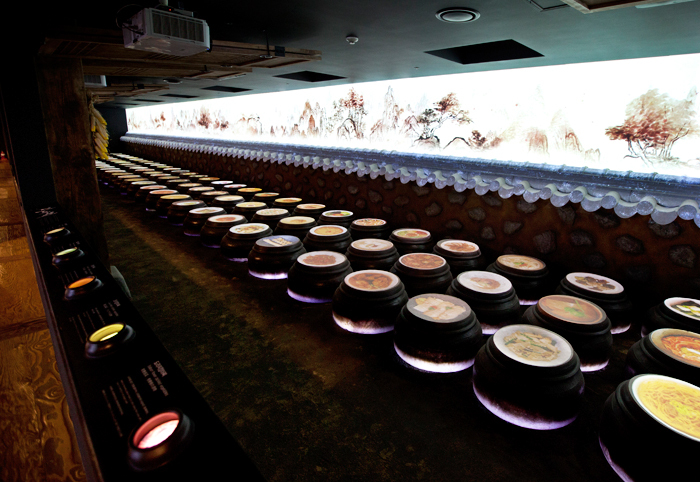 Korean ancestors fermented and aged food ingredients in onggi for a long period of time with great care to enhance the taste and aroma of food. Fermentation is considered a scientific process with our ancestors' spirits that enriches the flavor and nutrients of food ingredients through the work of nature and time. Korea's four seasons, various geographical features and natural environment have formed today's food culture, offering a wide variety of nutritious foods. The philosophy of harmony and balance and the value of fusion in Korean food will serve as a sustainable alternative in the future. Even though Korea is a small country, each region produces unique food ingredients due to its distinctive geographical features and has developed a characteristic food culture by using seasonal ingredients. "Delicious food ingredients that are produced in Korea and obtained only from Korea" is at the core of Korean food identity. 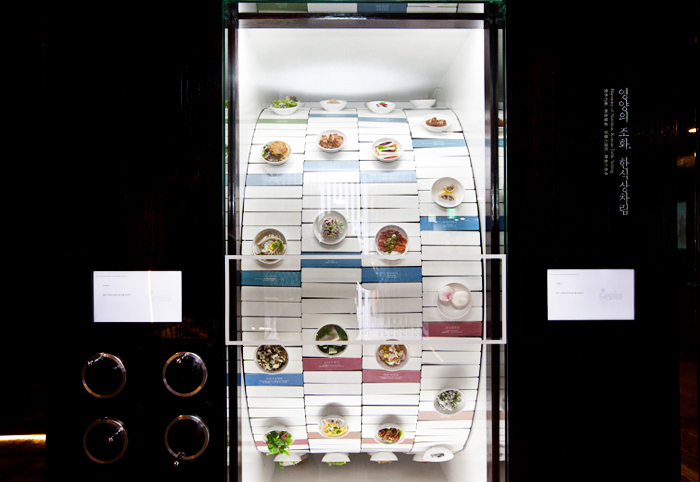 The future of Korean food can be found from the "aesthetics of mixing." The value of fusion, which creates a new flavor with various ingredients, is part of Korean food. 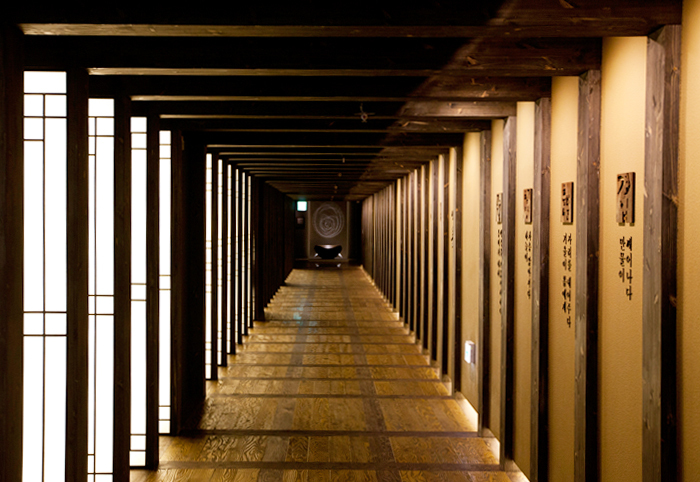 Korean food is another possibility that has harmony with nature and balance with the environment. Korean wisdom as reflected in Korean food can be an answer to the search for healthy food sought by our modern society.